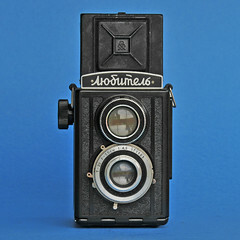 The Lubitel was a TLR made by GOMZ from 1949 to 1956. 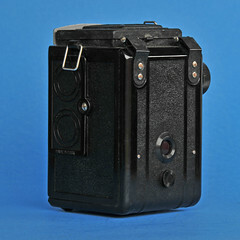 Like its second version the Lubitel 2, an enormous number were produced, so it is not rare. 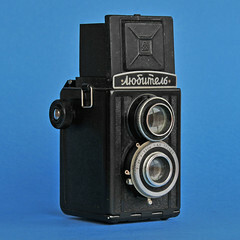 The design is clearly inspired by the focusing Voigtländer Brillant, down to the cross pattern embossed into the viewing hood. 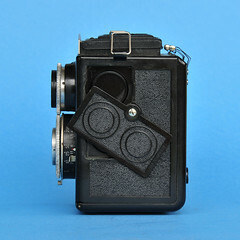 The Lubitel's T22 F-7.5cm 1:4.5 camera lens and reflex view finder lens are gear-coupled for simultaneous focusing. 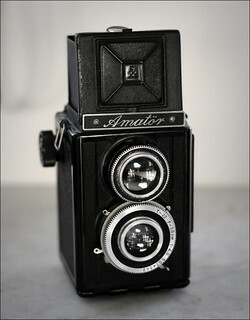 The camera was marketed in Sweden with badge "Amatör" or "ATLANTIC". This page was last edited on 30 December 2016, at 10:28.